The outgoing president of Botswana has attacked his US counterpart Donald Trump for “encouraging poaching” by overturning a ban on the import of hunting trophies. Speaking at an anti-poaching summit in Botswana, two weeks before he steps down, President Ian Khama told the BBC it was not just Mr Trump’s attitude towards wildlife he was concerned about, but his “attitude towards the whole planet”. The US government recently made a U-turn on the import of animal heads from Africa – the “trophies” prized by American hunters travelling to the continent. Mr Khama said that his government had “actually banned hunting” but that Mr Trump’s lifting of the trophy ban was “encouraging poaching in this country”. 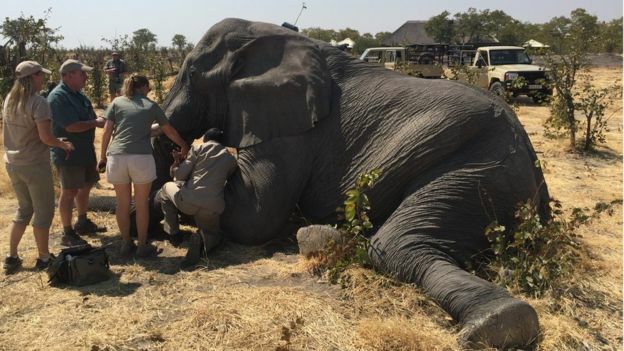 Mr Khama was speaking at the Giant’s Club Summit in Kasane, which is discussing efforts to tackle the poaching epidemic which is killing tens of thousands of elephants every year. Although the number of animals being poached for ivory has been dropping over the past few years, more elephants are being killed for their tusks than are being born, leaving them in danger. “We haven’t passed the worst of the poaching crisis,” said Mike Chase, director and founder of Elephants Without Borders. The summit is showcasing ways of improving anti-poaching measures, borrowing from counter-terrorism. 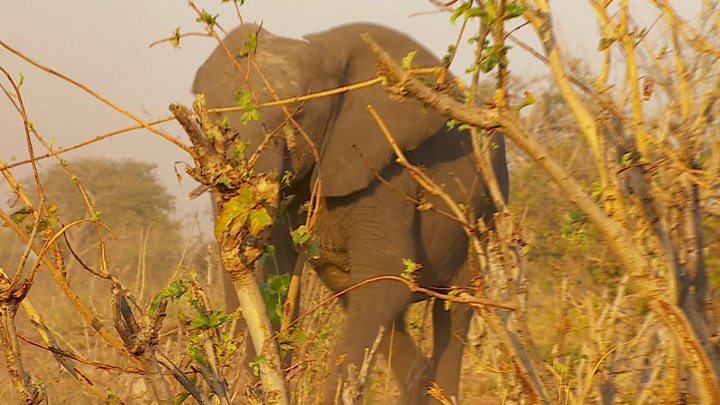 “The focus now is on intelligence-led patrol work, intelligence-led investigations,” said Kevin Vallack, a former British policeman and intelligence officer, now with the conservation group Space for Giants. Preventing human-wildlife conflict, and helping elephants have more value to communities alive than dead are key areas of discussion, but many conservationists believe a total ban on ivory trade is the only way to save the elephants. The EU, and the UK specifically, are the biggest exporters of legal ivory – much of it labelled as antique – and three African presidents have now put their name to a million-signature global petition asking for a ban on this legal trade in ivory. 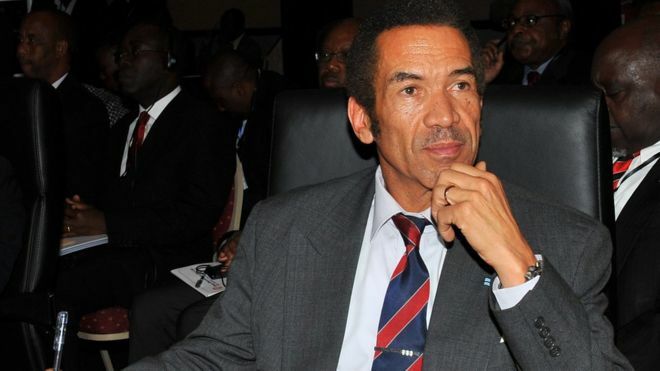 President Khama praised China for implementing a ban on their domestic ivory trade earlier this year, and called on Britain and the EU to do likewise. “People in the UK really care passionately about this issue and they want to make sure we save these magnificent elephants in the wild for future generations,” she said. A consultation period on how the UK should implement any ban, and what the exceptions might be, ended recently, and an announcement on the new government policy is expected in the coming weeks.